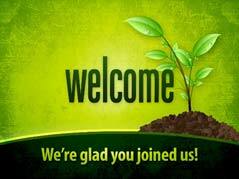 We would love to welcome you as a new, full member of our congregation. Professing (Full) Members are persons who have been baptized and make vows affirming their faith in God and their desire to live as disciples of Jesus Christ through Maggie Valley United Methodist Church. Our members include people who have come into membership by a first-time profession of faith or by transfer from other congregations and denominations. Baptized persons are not re-baptized. Membership requires faithfully participating in our congregation through prayers, presence, gifts, service, and witness. If you are considering Maggie Valley UMC as your church home, Pastor Ann Duncan would love to talk with you. Contact her at aduncan@wnccumc.net or ann.l.duncan@gmail.com. Or call Pastor Ann on her cellphone: 828-505-6073. Many people who worship with us have a “home” congregation in some other location. We simply welcome you to be part of our church while you are here. We can add you to our newsletter, phone tree, and email distribution lists. Of course, you’re welcome to attend and not join, but you may offer more formally some of your gifts, service, witness, prayers, and presence to our local congregation. 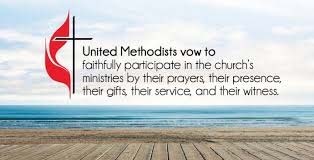 The United Methodist Church has two additional types of membership if you are interested in joining Maggie Valley UMC on a part-time basis and keeping your full church membership elsewhere. Affiliate Members are members of another United Methodist congregation who may be temporarily away from their home congregation and wish to connect with the life, ministry, and watch-care of our congregation when you are here. Associate Members are non-United Methodists currently located away from their home church. They wish to connect with our local United Methodist Church, but still retain their current denominational affiliation while in our community. Speak with Pastor Ann about how you may be these options and be involved at Maggie Valley.